One of my very first jobs was as an organizer for the Campaign to End Childhood Hunger at the Food Research and Action Center (FRAC). At the time, our campaign materials included a unique image of children reading books while surrounded by food. 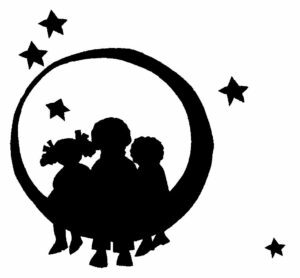 This art helped raise support for our work to strengthen nutrition programs serving kids, and was created by children’s book author and illustrator Tomie dePaola. Twenty years later, I’m still involved in this work, now as a board member of FRAC. And more than ever, I’m inspired by the role that art can play in social justice. So when I found out that my first picture book would be published—a love book for children–I knew I had to find a way to contribute to this campaign. To celebrate my book launch, I’m donating a portion of proceeds from I Love You for Miles and Miles to the Campaign to End Childhood Hunger. I’m also planning some special book events in 2018 to raise support for this work. Please get in touch if you would like to learn more, provide support, or if you are a children’s book creator who would like to help amplify this work. When I decided I wanted to become a children’s writer in 2012, I began blogging about activism in children’s books. This felt like a way to bridge the work I had been doing with what I wanted to be doing, and to seek out people with similar interests. The writers and illustrators I interviewed were so generous, sharing their stories and offering advice. This experience inspired me to team up with some of them to launch M is for Movement in 2017. 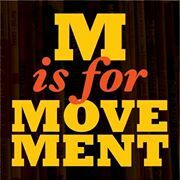 M is for Movement’s mission is to empower kids and the adults who love them to care about others, stand in solidarity, and take action for equity and justice. We do this by publishing articles, interviews, and reviews about children’s books that put social justice values into practice. On the site you’ll find a variety of posts and perspectives, including my interviews with authors, illustrators, and community organizers.